The late Sam Phillips did so much in his 80-year life span that he will be eulogized and appreciated for many years to come. From his tiny little Sun Records recording studio at 706 Union Ave. in Memphis, he sent out to the world the exquisite blues of B.B. King, the raw power of Howling Wolf and the haunting harmonies of the penitentiary group, the Prison Aires. He showed that the black blues and the country blues were flip sides of the same expressions of a shared life. He captured the raw emotion of Southern music -- whether it was white or black. He was often criticized by whites for recording blacks and by blacks for recording whites. With Elvis Presley, he invented rock �n� roll. And then -- just to sweeten the mix -- he threw in Johnny Cash, Jerry Lee Lewis, Roy Orbison and Carl Perkins. It�s still an understatement to say that he changed the world. 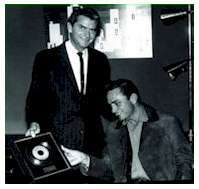 Along the way, he permanently changed country music and Nashville when the fledgling producer Billy Sherrill was installed in Phillips� Nashville studio, where Sherrill went on to produce monumental hits by George Jones, Tammy Wynette, Tanya Tucker and many others. In many ways, Sam set the agenda for rock and country. 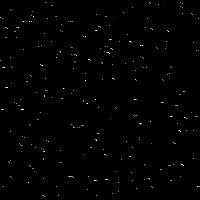 And that�s a pretty good legacy to take into eternity with you. Interviewing Sam was like sitting at the feet of Moses, with lightning bolts striking all around you. He would warm to a particular subject and start to swell up a little bit like the best preachers do, and then he�d have to rise to his feet and start to pace as he orated and preached. His eyes would widen and the pupils would go black as he fixed you in his mesmerizing gaze. He may suddenly drop to one knee, as a preacher would, to command your full attention. Music is power, he thundered. He could preach that message a hundred different ways from Sunday, and the sermons always ran to a really long time but always made perfect sense -- once you thought it out -- and always were right. Phillips� most lasting lesson was that music really was empowerment -- before that politically correct word came into fashion. Sam said music was power, and he was dead on right with that one. His stable of Memphis horses changed popular music and American society and forever changed the way popular music would be viewed, or performed or recorded. One of the most interesting things Phillips ever did will undoubtedly remain a historical footnote. But I find it fascinating. Sam, who was fascinated with radio since childhood, decided that he wanted to launch an all-female station. Radio then, much more than it is now, was a male bastion, a genuine boys� club. But Sam wanted to try something different. And he did. Acknowledging publicly that radio was a male-dominated industry, Phillips launched Memphis station WHER in 1955 as �the first all-girl radio station in the world.� All the employees were women -- announcers, sales, news staff, managers, music librarians, everyone. Many of the employees had no radio experience because entry jobs for women in radio were scarce indeed. But they learned very quickly. �One thousand beautiful watts� was the station�s slogan, and many critics initially dismissed the station as a novelty. But Phillips was dead serious and WHER became a serious station, as well as a thorough training ground for women in radio. The station lasted into the early �70s. By that time, enough doors had been broken down that an all-women station was no longer necessary. As Phillips predicted, WHER legacy was in breaking down barriers against women in radio. 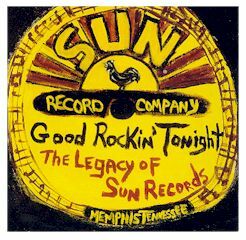 Just as Sun Records wrought a major revolution in music, WHER wrought a smaller -- but just as valid -- revolution in radio. Sun Records founder Sam Phillips died Wednesday (July 30) in Memphis at the age of 80. 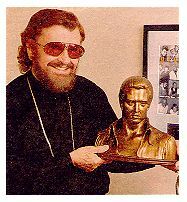 The Country Music Hall of Fame member had been ill for several months. As the record producer and label executive who launched the careers of Johnny Cash, Jerry Lee Lewis, Carl Perkins, Roy Orbison and Charlie Rich, his independent spirit altered the course of country and rock �n� roll. But as the visionary who first recognized the talent of Elvis Presley, Phillips literally changed the world. Born Jan. 5, 1923, on a tenant farm in Florence, Ala., Phillips worked at radio stations in Alabama and Tennessee, becoming an announcer at WREC in Memphis in 1945. By 1950, he had established his Memphis Recording Service studio at 706 Union Ave., where he recorded future blues legends Howlin� Wolf, B.B. King and James Cotton. A year later, he used Ike Turner�s band to produce singer Jackie Brenston�s �Rocket 88� -- considered by many to be the first rock �n� roll record. 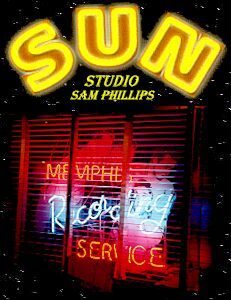 Having previously served as a talent scout for other record labels, Phillips founded Sun Records in 1952 to specialize in rhythm & blues. Sun�s initial catalog included hits by acts such as Rufus Thomas and Little Junior Parker's Blue Flames. With a strong understanding and appreciation of the blues, Phillips had a long-standing desire to mix the music with the country sounds he�d grown up listening to on radio stations such as Nashville�s WSM. Lightning flashed and the planets aligned in 1953 when 19-year-old truck driver Elvis Presley wandered into the studio to record two songs as a gift for his mother. Phillips was about to make history. With musical backing from guitarist Scotty Moore and bassist Bill Black, Presley�s first commercial recording more than fulfilled Phillips� dream. Released in the summer of 1954, it was a two-sided hit -- a cover of rhythm & blues singer Arthur "Big Boy" Crudup�s "That's All Right" with a revved-up arrangement of Bill Monroe�s "Blue Moon of Kentucky." 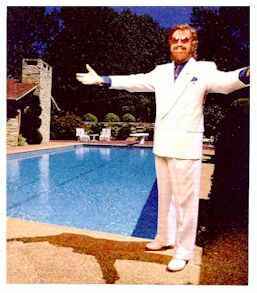 "In no way was I attempting to chastise or corrupt or do anything that would be adverse to the great basis of country music and its experiences," the flamboyant Phillips told CMT.com before his 2001 induction into the Country Music Hall of Fame. "Many things were being done in Nashville at the time that I thought were good. I really didn't have a desire to outdo Nashville -- or New York or Los Angeles. I just had my own feelings about the blues and, especially, Southern white and black gospel." Referring to Sun Records� heyday, Phillips once noted, "We're all crazy. But it's a type of insanity that borders on genius. I really feel that. To be as free as you have to be for any kind of music, you almost have to be in another dimension. And to do the broad expanse of rock �n� roll takes an element of mind expansion that people less creative would term insanity." While historians would later question why he sold Presley�s contract to RCA for a mere $35,000, Phillips used part of the money to become an investor in a burgeoning hotel chain in the early �50s -- a company named Holiday Inn. Having accrued a fortune from his investments, Phillips sold Sun Records and its catalog to music industry veteran Shelby Singleton in 1969. 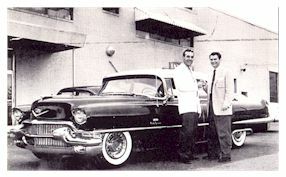 In later years, Phillips and sons Knox and Jerry operated the Sam Phillips Recording Service and a music publishing company. Phillips came out of retirement briefly to join his sons in co-producing John Prine�s 1979 rockabilly-influenced album, Pink Cadillac. 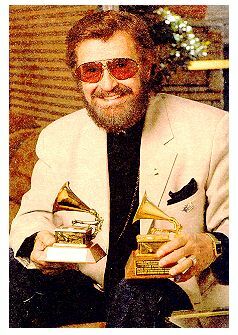 Phillips joined the Rock and Roll Hall of Fame in 1986, the first year of inductions. It took another 15 years for him to become a member of the Country Music Hall of Fame. When the induction took place during a private dinner in Nashville, Phillips seized the moment to embark on a lengthy monolog that rambled through several tangents involving the music industry. With the fire and vocal delivery of an evangelist at a tent revival, Phillips preached the gospel as he knew it -- about how great music has the power to improve all mankind. Sam Phillips knew great music. And he understood that great music often defies simple categorization. historians may never agree about where and where Rock N Roll was born. 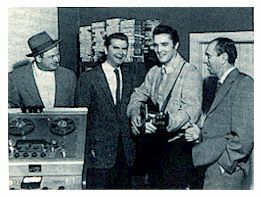 But all historians do agree that an entrepreneur in the world music named Sam Phillips began a revolution and spawned a legacy when he created Sun Records - the place where Elvis Presley, Carl Perkins, Johnny Cash, Jerry Lee Lewis and so many others their start. If this story of Sun Records was merely the story of the discovery and emergence of a single performer - Elvis - it would be astonishing enough. But it is not. It defines some of the most appealing roots of American popular taste, and it all happened in Memphis. 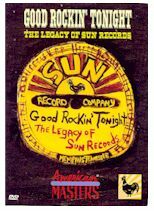 The work of many original Sun artist is reprised in this two hour American Master film by such performers as Paul McCartney, Jimmy Page and Live, several accompanied by Elvis original sideman Scotty Moore and DJ Fontana. The Film also includes a moving rendition of Lonely Weekend with Jerry Lee Lewis and Matchbox and a emotional reunion of old Mississippi Delta musicians.